What were midevil knights? Many things come to mind when we think of a knight and the role of the knight has changed over the centuries. But the typical Knight we think of was a man that lived between the 12th and 17th centuries who was pledged to serve hisliege or king in military service. Generally this pledge was termed that the knight would serve 40 days of each year in military combat for his king. In exchange the knight would receive loot from battles, his own estate and position in the King's court. 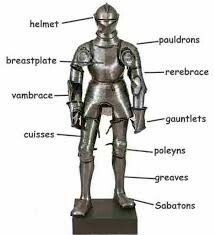 How did somebody Become a Medieval Knight? Generally there were two ways that a boy could eventually become a knight. The first way was to be born into it. 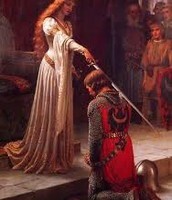 If a boy was the son of a knight or royalty he couldl be assured the opportunity of becoming a knight. Secondly it was possible for a man to become a knight by proving himself through bravery and prowess on the battlefield. How did the training for knighthood occur? For a boy that was born of royalty there was a common process for becoming a knight. At around the age of 8 he would be sent off the to the local lords court to become a page. This meant that he would learn all the necessary things for knighthood, things such as the rules of court, chivaly, writing, music and weapons. Than at around the age of 13 he would become a squire and because he was getting bigger and starting to develop into his manhood his training would focus much more on weapons, horsemanship and combat. One thing that was very seriously focused on was the rules of tactics for horse mounted combat. This was the most essential aspect of combat for a knight. It was this mounted combat that made a knight a feared and respected foe. 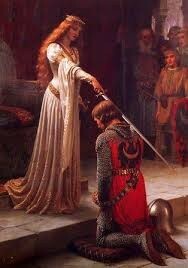 Knight's had a code of conduct that was called Chivalry. This code changed over the centuries but some of the major points were that the knight was bound to defend his lord or liege, care for his lands and his people and in the later centuries this code of chivalry was expanded to include conduct in courts and public functions. A knight was expected to protect those less of lesser rank than himself and to hold himself to the highest standards of combat and knowledge in religion and writing, music and leadership.